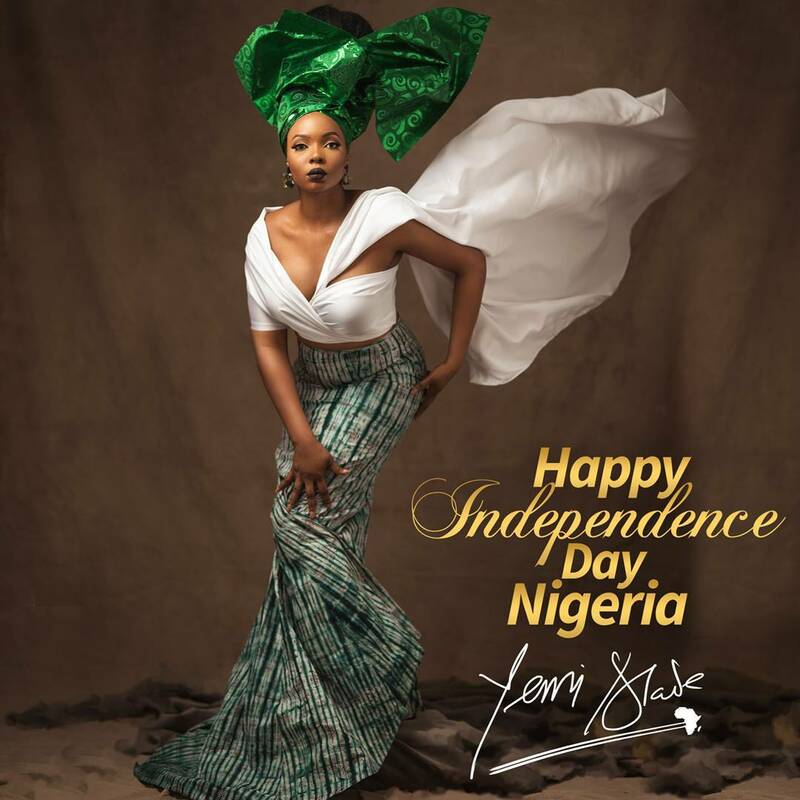 Singer, Yemi Alade celebrates with Nigeria on her 57th Independence Today. 'Mama Africa' took to her IG page to share this beautiful photo of herself wearing a traditional attire and gele with a touch of green and white. "#HAPPYINDEPENDENCEDAY GODBLESS #NIGERIA 💚💚💚 #BM #BLACKMAGIC #ALBUMOUTINOCTOBER #YEMIALADE GLAMSQUAD @soupofficial @ifepinkies @emmanueloyeleke @fabstyle_101"